Pleasure is fleeting, but happiness is everlasting. This is the foundation of The Book of Joy: Lasting Happiness in a Changing World. 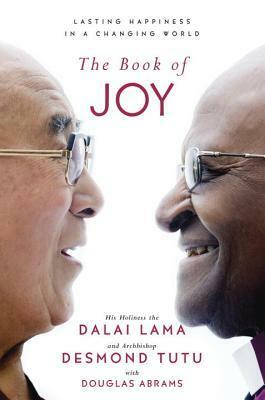 Consisting of transcribed interviews of the 14th Dalai Lama and Archbishop Desmond Tutu by Douglas Abrams, this book provides valuable insight into how to achieve true happiness—and isn’t this what everyone is looking for? We have compiled all the information from this book into habits that you can start practicing today! Learn to manage your emotions, see the bigger picture, calm your mind, and spread love and compassion to others so you can live a happy and joyful life. Desmond Mpilo Tutu is a South African cleric and activist who rose to worldwide fame during the 1980s as an opponent of apartheid. In 1984, Tutu became the second South African to be awarded the Nobel Peace Prize. Tutu was the first black South African Anglican Archbishop of Cape Town, South Africa, and primate of the Church of the Province of Southern Africa (now the Anglican Church of Southern Africa). Douglas Carlton Abrams is a former editor at the University of California Press and HarperSanFrancisco. He is the co-author of a number of books on love, sexuality, and spirituality. Accept the reality of your situation. Know the brain circuits that influence your lasting well-being. Manage your stress and anxiety. Manage your sadness and grief. Forgive others for their wrongs. Teach your children to care for others.